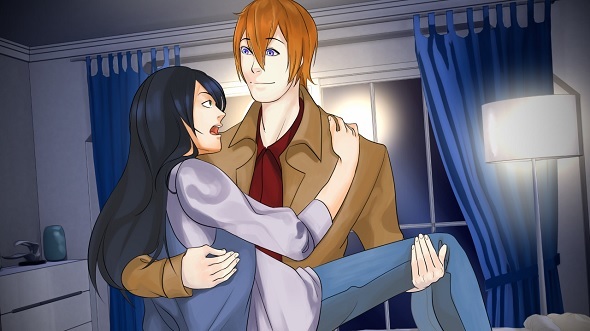 Visual novels are consistently growing in number and popularity on Steam, with more being translated from Japanese and into English each year. 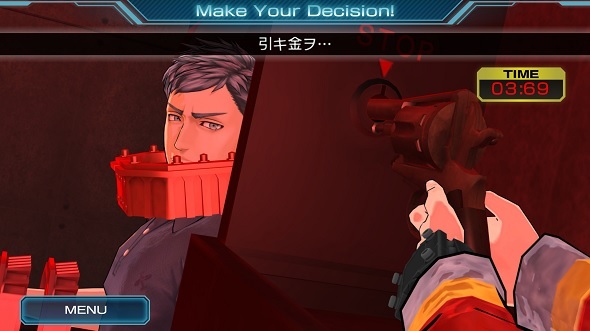 What is great about visual novels is that there is bound to be at least one suited to your tastes, given that they cover the gamut from sci-fi and romance to comedy and murder mysteries. Whether you are new to the genre or are a veteran looking for greats you have missed, the following list of ten visual novels that you must play on Steam will have you sorted. Find out what really makes Doki Doki Literature Club! worth playing (spoilers!). Steins;Gate is the ultimate sci-fi visual novel and one of the largest in the genre. The game sets up an adventure in which time travel is made possible through mobile phone technology, and sees the government seeking to capture the group of university students behind it. In this sci-fi world, tampering with time is forbidden as it can negatively impact history. 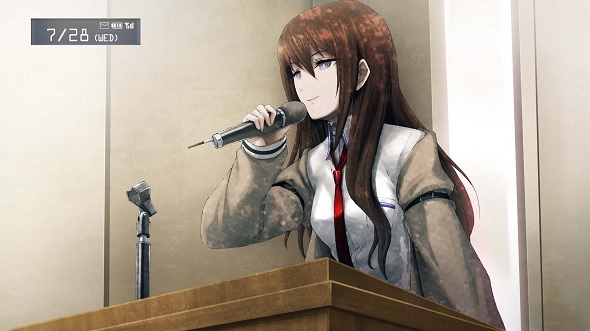 Protagonist Rintaro Okabe experiences the potential problems of tampering with time-travel first-hand after trying to save one of his friends from being killed, and discovers that he has less control over events than initially thought. The story’s twists and turns will grip you throughout, and its cast of passionate, intelligent characters will have you cheering them on as they battle the forces against them. The game also spawned an excellent sequel, Steins;Gate 0. 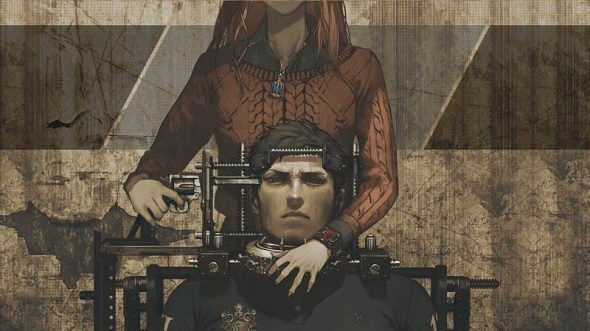 The Nonary Games consists of 999 and Virtue’s Last Reward, with Zero Time Dilemma being the third and final game in the series. Each installment follows a cast of characters who find themselves kidnapped and thrust into a life-or-death situation. Puzzle-solving, multiple endings, and a tense atmosphere keep you gripped as you work your way through the game’s world. 999 is the best of the lot but the way that the trilogy ends is satisfying. This is a must-play trilogy. 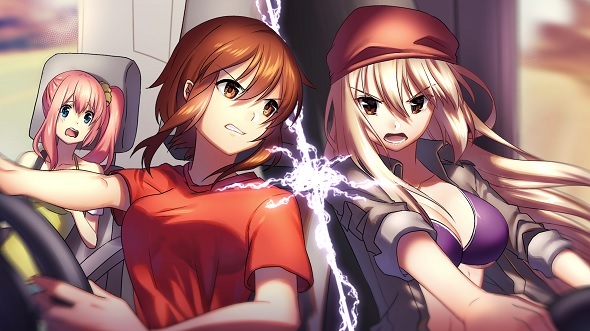 Highway Blossoms is a yuri (lesbian fiction) game that sees protagonists Amber and Marina’s love blossom as they travel across America in search of gold. Short and sweet at around four hours long, the game tells a heartwarming story that has stayed with me since I played it around half a year ago. A stunning, atmospheric soundtrack accompanies the gorgeous visuals, and the trek across America makes for a memorable experience. This is one of the finest yuri – and romance – visual novels on Steam, and a personal favourite of mine. Emily is Away, and its sequel Emily is Away Too, are visual novels set during the heyday of AIM messaging. Remember those embarrassing avatars and lyric-inspired screen names? It is all here. The story starts as you use a recreation of that classic conversation interface to speak to your crush Emily. The first game is free on Steam, but the second game is much longer and features another woman, Evelyn, along with multiple endings. While these games are an indulgent exercise in nostalgia they go beyond that to deliver a story that gets you invested in the lives of these women. Emily is Away captures that feeling of being a teenager at the turn of the millennium, when trivial matters meant the world, and dial-up speeds were horrendous. 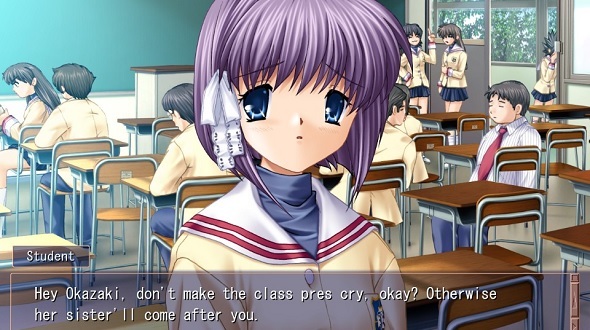 Clannad, by famed developer Key, has a reputation for being one of the greatest love stories in the genre. Lengthy, packed with drama, and with a distinct art style, Clannad follows delinquent Tomoya Okazaki in his last year of high school. After suffering an incident during his childhood, Tomoya finds his life getting brighter when he begins to make friends, who he helps get through their own issues. Each character is well-written, and the multiple routes and endings leave you with a lot of decisions and routes through the story to experiment with. You will cry, find yourself sighing with relief, and will want the best for the characters as you learn their back stories and help them find their own happiness. The Danganronpa series spans four games, each one seeing a class of teenagers fighting for their lives to escape their captors. The students are selected to participate in their high school’s annual tradition – one of them murders another, and has to get away with it. 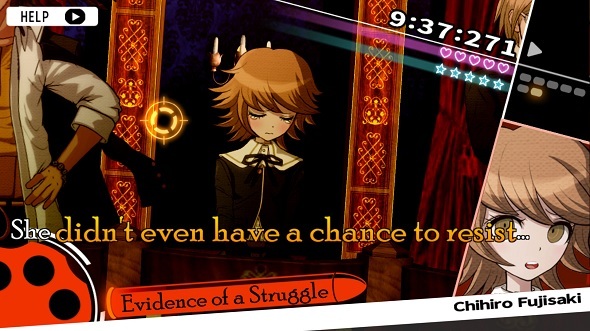 During the class trial, the students attempt to pin down the murderer – if they are right, they can leave with their lives, otherwise only the murderer will survive. Intense scenes of dialogue and a grand story that eventually becomes bigger than the students’ plight means that the Danganronpa series is a thrill all the way through. Be prepared to see many of your favourite characters die as you unravel the mysteries of this bizarre, macabre world. 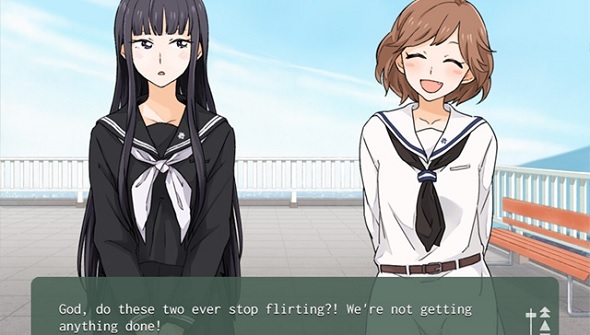 Kindred Spirits on the Roof is one of the most well-renowned yuri visual novels. At an all-girls school, Toomi Yuna is eating lunch when she is disturbed by two ghosts. These spirits, bound to the school, are unable to pass on from the physical world as they have yet to achieve everything they wanted. The biggest of those desires stems from the pair being in love and wanting to become more intimate but are unsure how. You follow Yuna as she helps the couple out. Besides that main story, Kindred Spirits on the Roof follows several students tackling their own love woes – its characters and focus on deep relationships have a lasting impact. Doki Doki Literature Club! is completely free to download. But don’t think its price reflects a lack of quality – the game’s various routes and mysteries will keep you searching for answers for a long time. 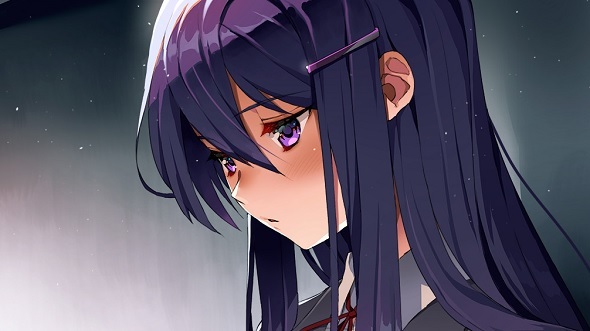 It has a cutesy aesthetic, but underneath lies a morbid – yet emotional – story about a seemingly innocent literature club. In it, you get to know four women as you try to decide who you would most like to date. Things quickly turn dark, however, and a series of horrifying events take place. It is down to you to figure out why these terrible things are happening, and who is causing them. What makes this visual novel really special is that it will have you questioning whether its horror is restricted to the game, or able to seep out into your own life. A visual novel that brings together cyberpunk and alcohol? Sign me up! 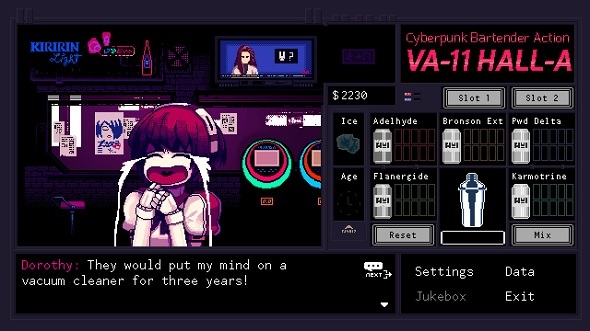 Working as a bartender at VA-11 Hall-A (aka Valhalla), you make drinks and serve them to the punks and cyborgs that stop by for a break from the city futuristic city outside. The stories told by the cast are as varied as they are, all of it wrapped up in cyberpunk politics, of which you get to hear by sides. It is quite unlike anything else on the market, and the retro-inspired visuals and music fit its theme to a tee. VA-11 Hall-A is a touching look into the (prosthetic) hearts of a society that relies on technology and the divide it has driven between them. You also get to learn how to make a mean cocktail, which is an important transferable life skill, obviously…. Seduce Me is another free visual novel but this time one aimed to please a female audience. You play as Mika Anderson, an 18-year-old who inherits her wealthy grandfather’s mansion, wherein she finds five injured incubi who cannot wait to kiss her. Turns out these incubi harness the sexual energy of humans to survive. As you might guess, from there, Mika lets the five demons move in and gets to know them better. They are all voice acted and each have a distinctive personality so you can figure out who is your favourite and work on getting intimate with them. But there are more romance options than that. Where Seduce Me excels is in the choice it gives you: a succubus as well as your two female friends can also be pursued. If you really get invested in the characters and story then you can follow it up with Seduce Me 2: The Demon War.